There is a certain glory attached to being a press photographer and being allowed or even invited to important events is one. The more difficult aspect is achieving to get your work published on a speculative basis. 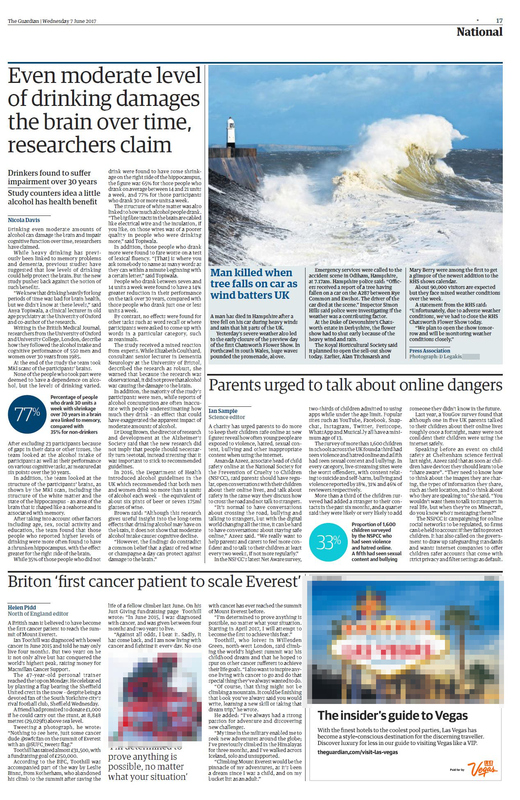 Having a picture published quite prominently in any publication is very rewarding, nothing compares though, with having a picture used on the front page of a newspaper. Our year pretty much started just like that. News-worthy weather pictures have no physical boundaries. As it happened, I syndicated the great work of a photographer I have known for years. 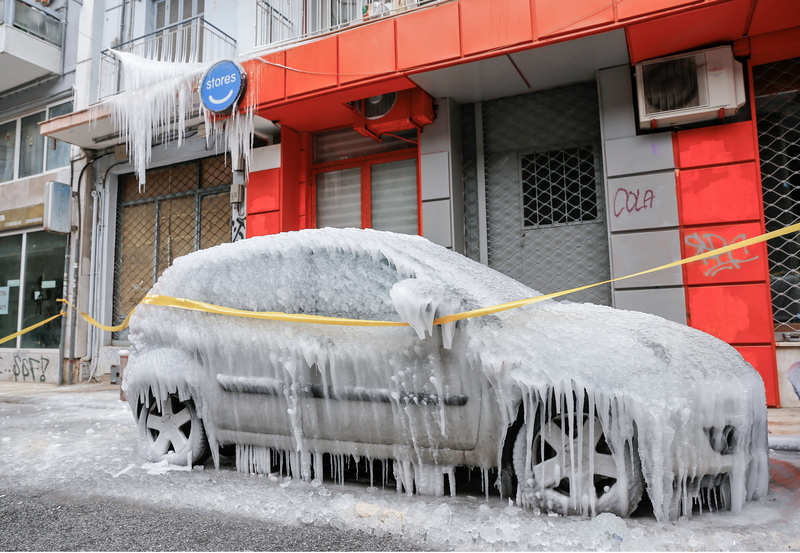 His set of images (seen here) was quite unusual and was the result of a leaking water pipe when the temperature dropped to well below zero in central Salonica in Greece. 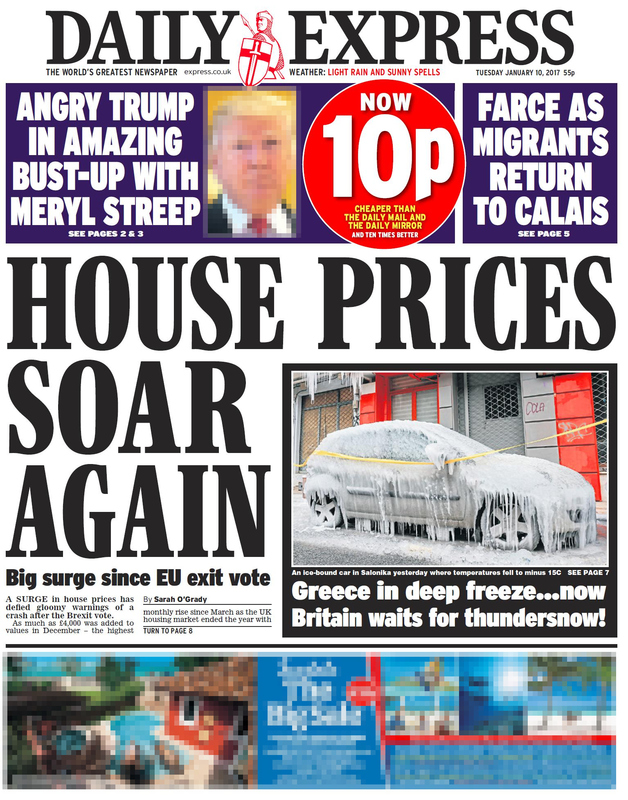 Rather appropriately, the Daily Express was running a story about a cold spell forecast for the UK. This sort of coincidence is known as “Bingo” in the news industry. 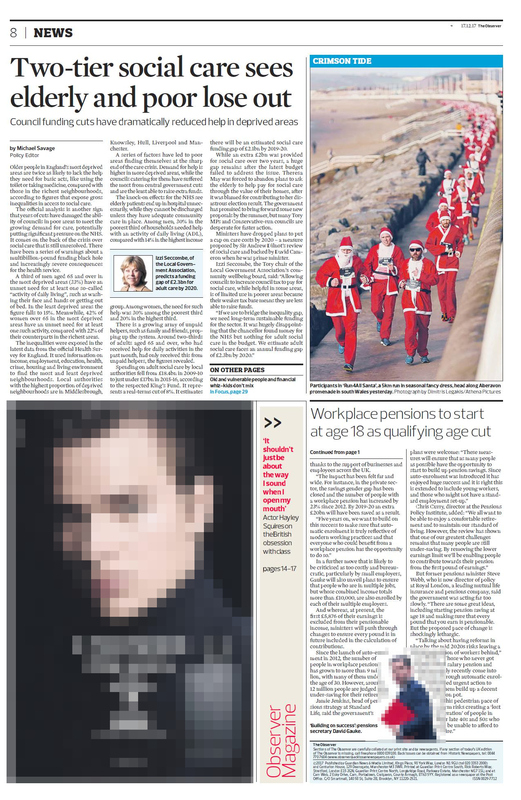 What a great cutting and a great way to start the year in the competitive world of the news industry. 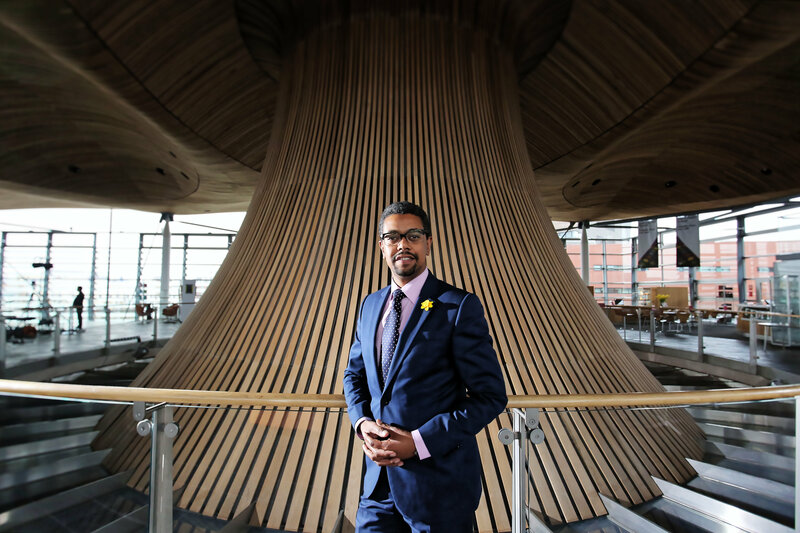 Then in March The Guardian commissioned me to take some portraits of Welsh Assembly Minister Vaughan Gething. I first met Mr Gething a few years back in his Cardiff Constituency. During our latest encounter, he was equally as friendly, waiting patiently for me to sort out my non-working portable lights, although his schedule was already running late. He even offered to help carry my gear for some additional pictures shot outdoors. I only wish the Guardian had gone for any of the pictures taken outside (seen here) that show the great architecture of The Senedd building, as the equally great interior has been used in so many other portraits of prominent Welsh politicians. My greatest achievement though in portraits of politicians, was when I was invited to photograph Carwyn Jones, the First Minister for Wales in his office, I even wrote a blog about the experience here. 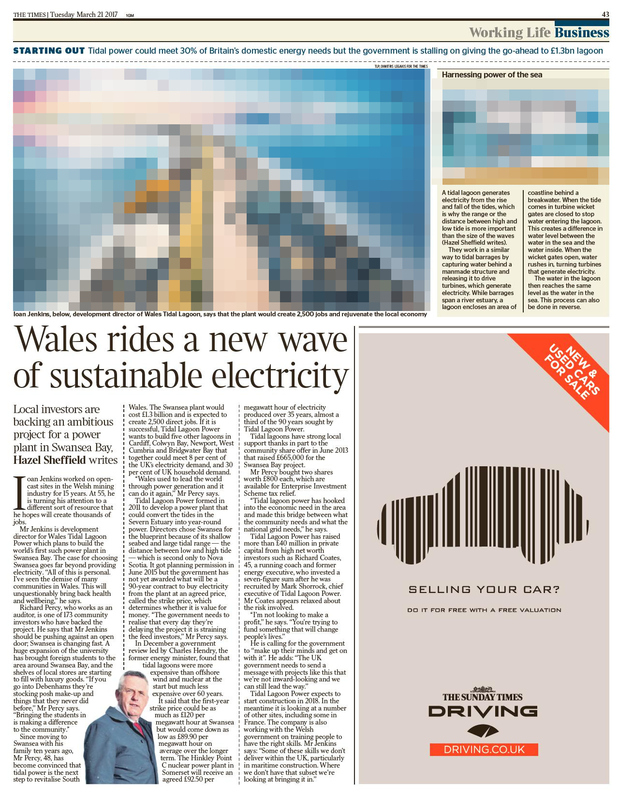 During the month of March, I was also asked by The Times to photograph Ioan Jenkins, who is the Development Director of Tidal Lagoon a magnificent project proposed for Swansea Bay. The weather was simply attrocious, it was cold with driving rain. Mr Jenkins was very patiently opening and closing his umbrella to take shelter between set-ups. The driving rain didn’t help with my gear either with my trusty Canon 17-40 lens getting soaked. Nevertheless, we were both determined to carry on. 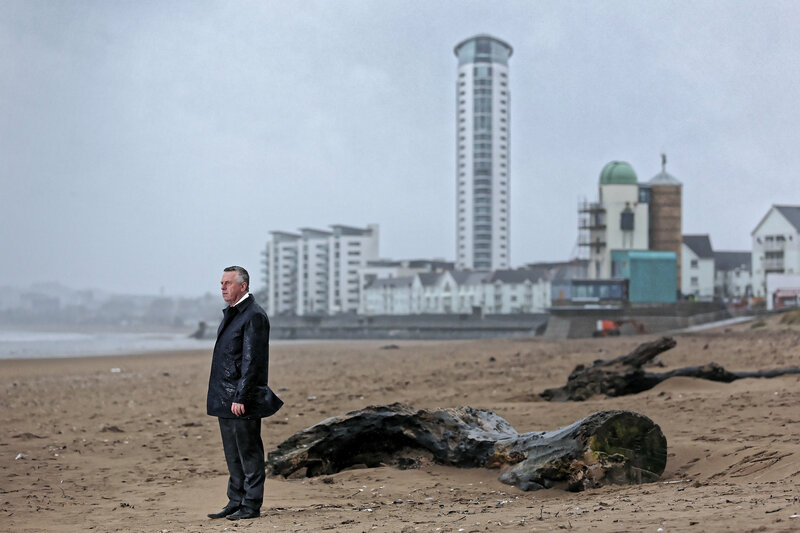 The shoot (pictures found here) didn’t take a long time but was disappointed to see that a generic headshot was used instead of the nice landscape shot I took of him, where he is facing towards the bay, while in the background you can see the recent Swansea Marina development. Next one up was a picture of giant waves crashing against the promenade wall and the lighthouse in Porthcawl, Wales in early June. The exact spot is packed with photographers when it’s windy and the tide is high. 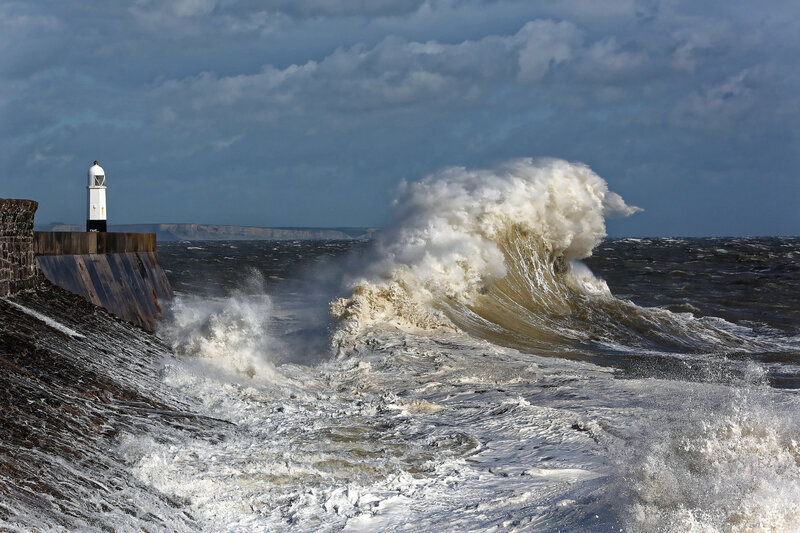 In another recent blog of mine here I explain the challenges faced by press photographers when they need to take “weather pictures”. In this instance the weather was dry -although windy- and the fact that not many other photohgraphers were around helped to guarantee a space in the Guardian newspaper. A selection of other pictures from the same set can be seen here. Then a few days after that, it was time for the general elections which takes us back to news photography opening various doors for important events. The only picture I could see making from the day of the election, was that of the ballot count at the Guildhall in Swansea. All candidates would be there and their reactions almost always make for a great news-worthy picture. A news photographer though has to keep his eyes open for the slightly unusual or even entertaining and while I was walking around the venue, I came across a young woman who was resting, after a very long day counting ballots. Her friend found the fact that I took interest in her quite amusing. 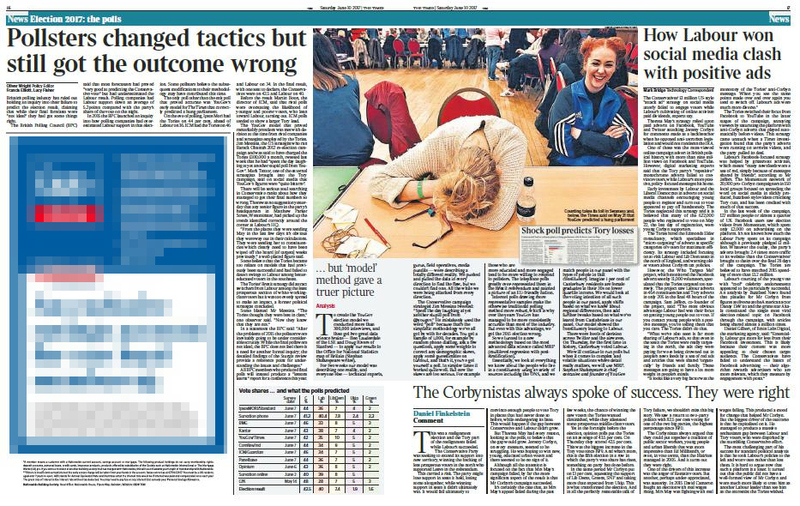 This was enough though to get noticed by The Times picture desk and get used the following morning. There were though, some interesting reactions by other candidates -winning and losing- all of which can be seen here. The great thing about the next photograph was that it was taken from my bedroom window which proves that news-worthy pictures that appeal to picture editors can be taken with as little hassle as possible. During the first weekend in July, Swansea hosted the Wales National Air Show with plenty of aerobatic shows. 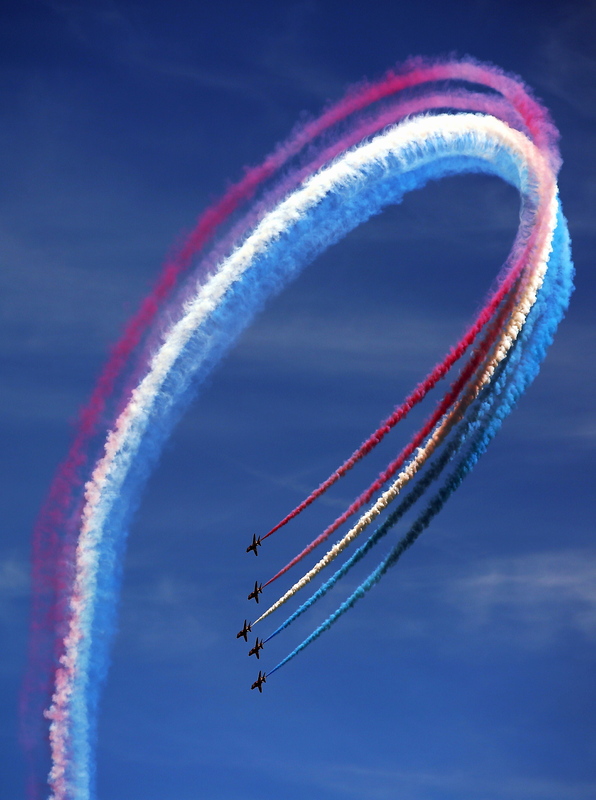 The highlight of the event are the Red Arrows which always attract large crowds in the city’s bay area. 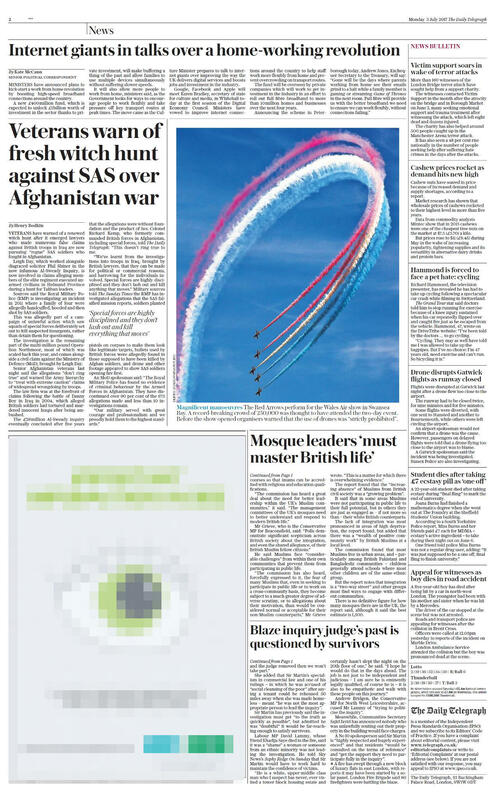 Not only was the picture used by the Daily Telegraph online, it was also used as the main picture in their printed edition. Pictures from day one of the show can be seen here, whereas from day two here. For the next one I could speak for ages and is one of my favourite aspects of portraiture, the environmental portrait. 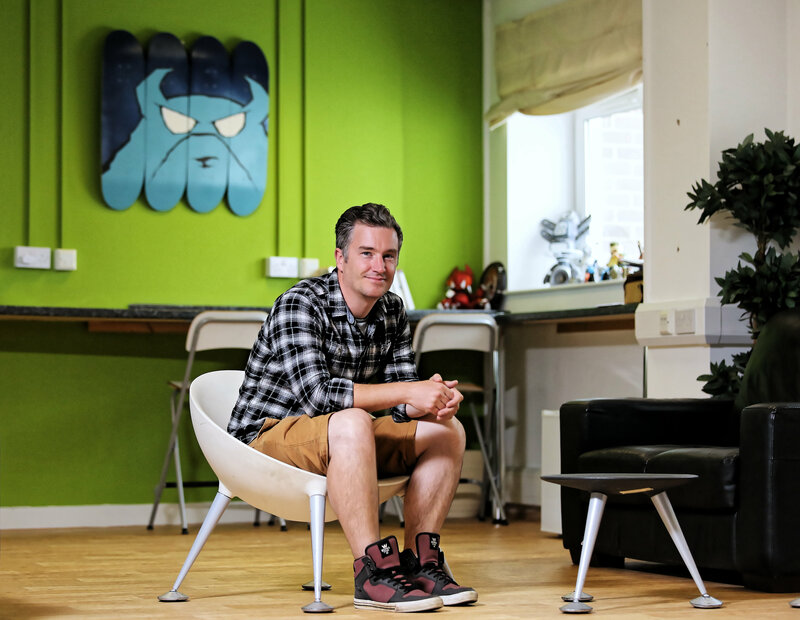 I was always fascinated about showing the physical environment of the person photographed and what better way of doing that when the background is colourful and funky and the subject is a successful young businessman with a great name too. 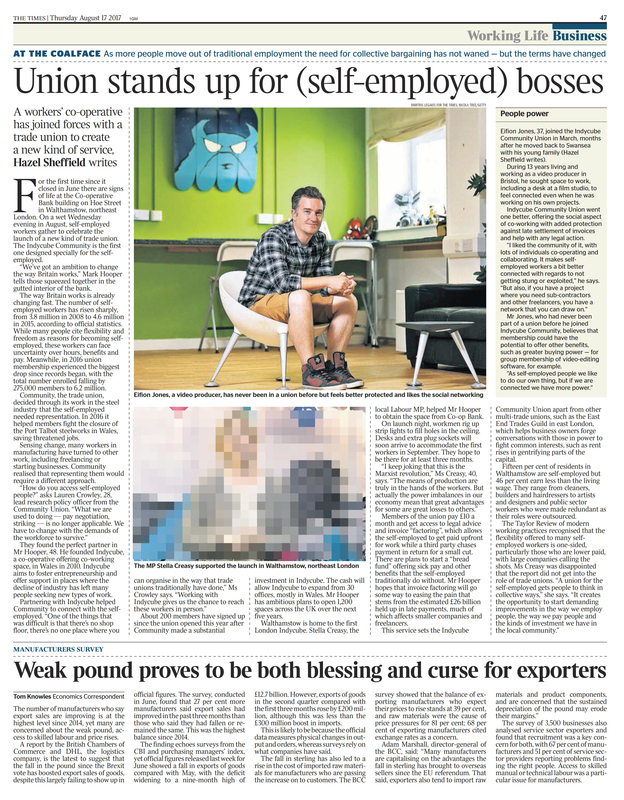 Again this was a commission by The Times picture desk and it made a quite interesting business portrait. Shame about the powerpoints on the wall in the background though, but hey, you can’t have it all and deleting them would be cheating. It was one of those news jobs that you didn’t have to try hard for a nicely framed shot, colours, interesting items and shapes were abundant in Eifion’s office. Have a look here if you may. The next one had the vaguest briefs in freelance photography ever. 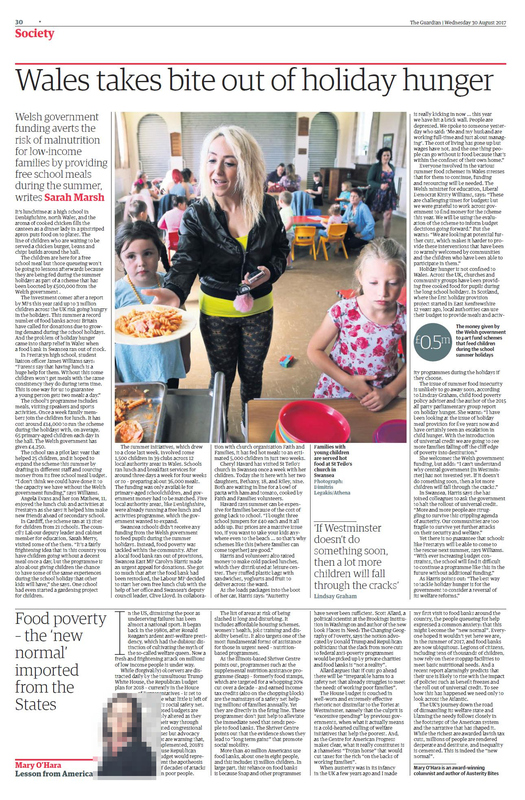 I was to join a Guardian journalist who was to write a piece about free dinners for young children and their families in Swansea, what could possibly go wrong? 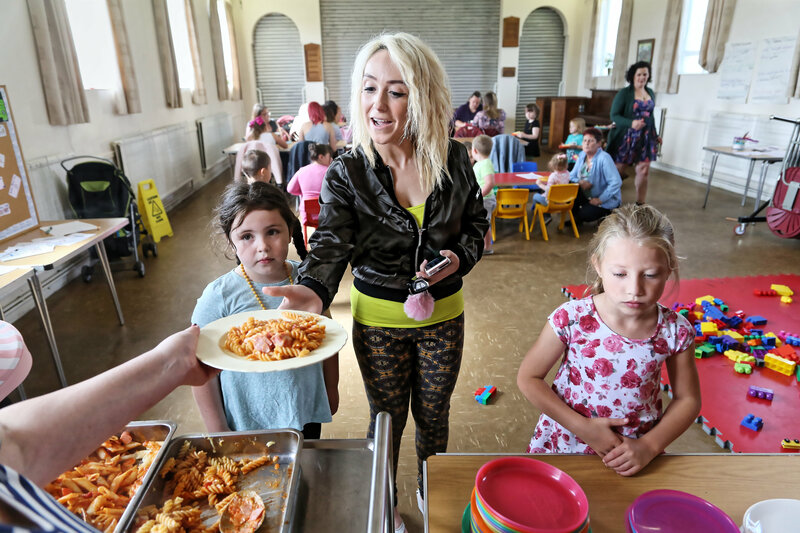 Starting off, there were no children or young families to photograph but in the end, things turned to our benefit and we were welcomed to St Teilo Church where local people meet for food and to socialise. I just love how innocent and almost embarassed the young girls look, even the discarded Lego bricks to the right add substance to the picture story. The parents were really accomodating and the children extremely well behaved, which helped as I managed to get a great set of pictures seen here. What I also love photographing is performances, theatre or live gigs. 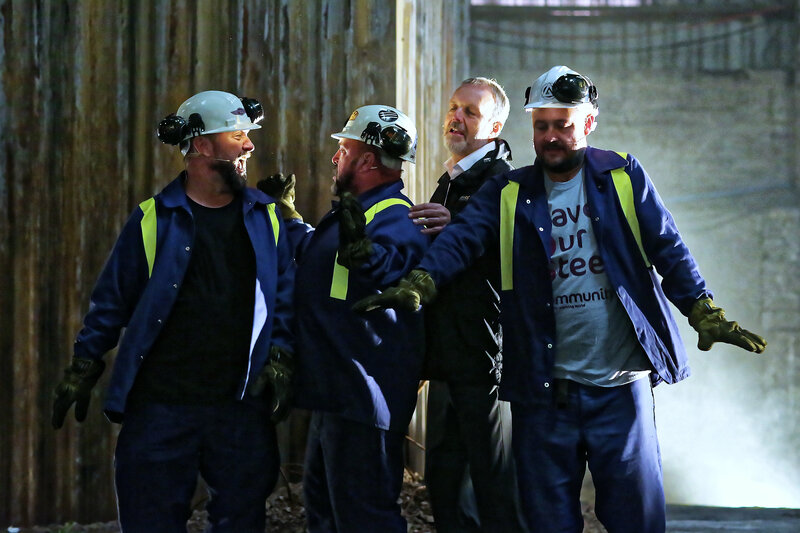 This one was special, it touched on the thousands of workers threatened with possible unemployment at the Steel Works in Port Talbot. It was a theatrical performance by the National Theatre Wales and Common Wealth. In one of my previous blogs, I recounted the difficulties that photography in dark places involves. 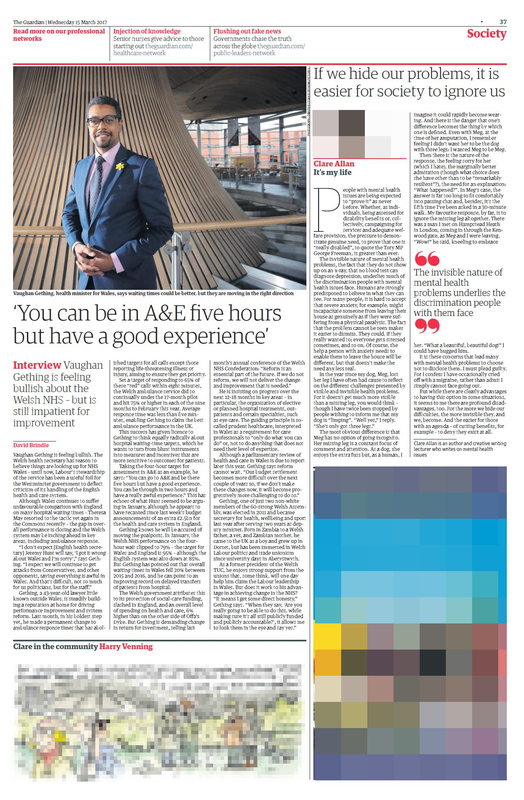 On top of documenting the rehersals and behind the scenes, I was also asked by The Guardian newspaper to spend a few hours for a great news article by my very good friend Steven Morris. The last one was a very pleasant surprise. I just went to have a look at the Run4All Santa 5km Run in Aberavon beach, south Wales as I don’t quite understand those events, to be perfectly frank, I find them silly, but offering a great picture service is what I do and though I might as well have a go. 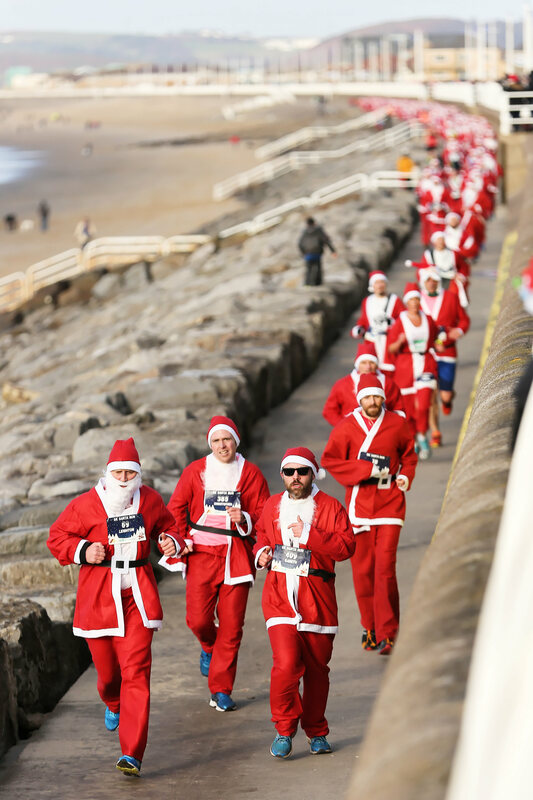 Runners in Santa fancy dress take part in this year’s Run4All Santa 5km Run on Aberavon Promenade near Port Talbot, Wales, UK. To be honest, I wasn’t expecting it to be used. There are so many similar events up and down the country. I even went into the trouble of writing my most sarcastic blog ever about Christmas-related events that make the news. To see our full set of images from the event, please click here. To search through our entire archive please click here. 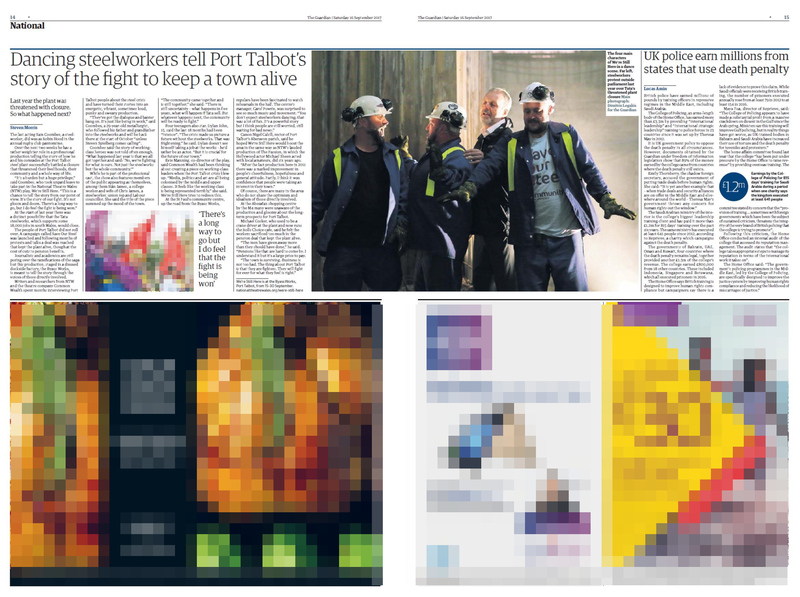 This entry was tagged 2017, best of, ice, news, newspaper cuttings, photographer, photography, picture, swansea, the daily telegraph, the guardian, the times, wales, weather. Bookmark the permalink.